owls about that then! : No stiffness here mate! Yesterday I exerted myself more than I thought possible, and the plan for today was going to be plenty of rest and then a very late start. Oh he's been on the beer again I hear you say, well that couldn't be further from the truth, actually I did a 20 mile bike ride around Rutland Water!!! OK for the average person that's no big deal, but it is if you are two stone over weight (OK three), smoke 20 fags a day, in your mid thirties (OK your caught me out again.......forties) and your idea of exercise is lifting a few pints on a Friday night.............then it is a massive deal!!!!! So when we got back last night I was absolutely shattered, my legs and arms didn't feel my own and the numbness in my bum was murder! I collapsed for a couple of hours in front of the TV, when I finally went to get up the stiffness had kicked in, it even hurt to blink. That was it, my condition had firmly scuppered my plans for an early mornings owling! 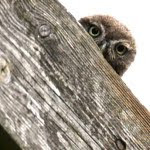 However, this morning I woke at 6.00am without the slightest hint of the torture endured the day before and the saddle sore had gone, so the owl plan was back on. Surprisingly the weather was good early on, there was little wind and sun had got its hat on, but the forecast was for change around mid morning so I was up and out. The first port of call was one of the sites that Jenny had taken me to a couple of days ago (see previous post), we didn't see any owls then but it looked a promising location? 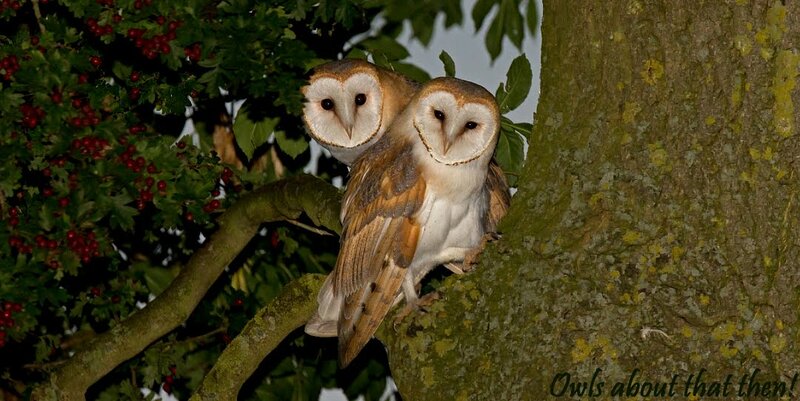 As I drove slowly down the leafy lane nearly every tree, bush and stump was checked out, then just as I approached the point where Jen said she'd seen an owl a couple of weeks ago.......BINGO!!! A juvenile Little Owl sat motionless on top of a fallen log, get in there site No 215!!! I didn't stop as I wasn't prepared. I pulled up further down the lane and got my camera equipment out. The camo screed was put up at the window and then I returned at a deathly slow pace. The owl was still there, a very confiding bird too! Once I realised the bird was OK with my presence I started up the Landie and shunted back and forth to get closer. I am very pleased with the outcome of the images especially so as the light was coming from behind the owl. My time with the owl soon came to an end though as the early morning doggy walkers, joggers and horse riders started to mount up and they scared it off! No other owls were seen but I'll catch up with them on my next visit. Nice one Jen, you were bang on with your info. Not me mate, my 11 year old boy!!! !